BRISTOL -- O.V. Resources of Connecticut LLC is the best resource for anyone who needs to find the right commercial, industrial, or investment property. “We do the work that other real estate agents have stopped doing. Online listings may be a great tool, but they do not replace the hard work of talented and experienced real estate professionals. We know Bristol and the surrounding area. Connecticut has been our backyard for over five decades,” according to the company’s website. “We’ll meet you where you are – literally and figuratively – offering help with crunching the numbers or answering specific questions with accurate information as you do your own analysis,” said O.V. 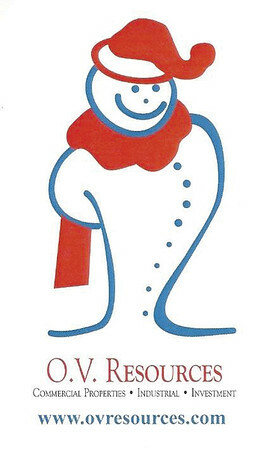 Snow Jr., real estate broker and president of O.V. Resources. His father, Olcott Vail Snow, Sr. – known as “O.V. to everyone” – opened O.V. Resources in 1955. As a real estate broker “he became the forefront of Bristol’s growth, instrumental in bringing many commercial ventures to the area,” Snow explained. “He grew to love the business and the people associated with it, treating everyone with the respect and generosity of spirit while maintaining the highest level of integrity. O.V. was a part of new dreams and transitions until he passed away in 2012, at the age of 85,” Snow said. Recognized his father’s strong ties to the community and unwilling to allow that history to be forgotten, Snow assumed the role of president and obtained his real estate broker license to carry out the family business. His daughter, Angelique, works closely with him learning the trade in hopes of taking over the business. Together they are keeping alive the extensive network of business relationships that are key in connecting the right people at the right time. Years of experience are behind O.V. Resources’ innovative solutions. “O.V. Resources is more than just the best place to start when selling or leasing commercial real estate or the right move when looking for the right building to lease or buy for your business. It is proof that the traditions of a good reputation and solid relationships work well with modern innovations. We are a longstanding commercial real estate firm and have been in business for over 60 years,” Snow said. He encourages clients to search the company’s online listings. “When I decided to follow in my father’s footsteps, I decided that this work would not be about money, but about helping people find what they need. I like having a bunch of appointments and seeing what I can do for my clients. I love starting the day knowing that’s ahead of me,” he concluded. O.V. Resources of Connecticut LLC is located at 1019 Farmington Ave., Suite 3, Bristol. For more information, call 860-589-5492, e-mail ovresources@gmail.com, or visit www.ovresources.com . Posted in The Bristol Press, Central CT Chamber of Commerce, General Business, on Tuesday, 11 September 2018 21:23. Updated: Tuesday, 11 September 2018 21:25.